How about this for a great idea. Got pallets? Hate weeding? Don’t feel like digging up the grass? 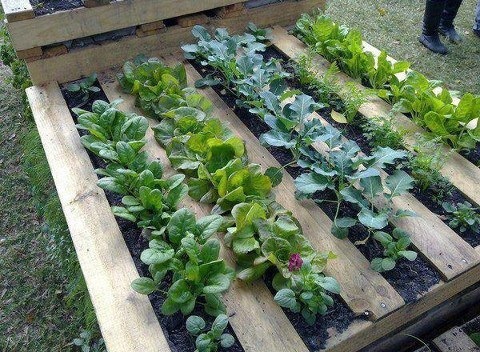 Use pallets as a garden bed – staple garden cloth on the backside of the pallet fill with some good quality soil mix and some dirt and start growing! Your little seedlings are all in a neat row and will quickly give you a feed if you plant veges or blooms if you prefer.